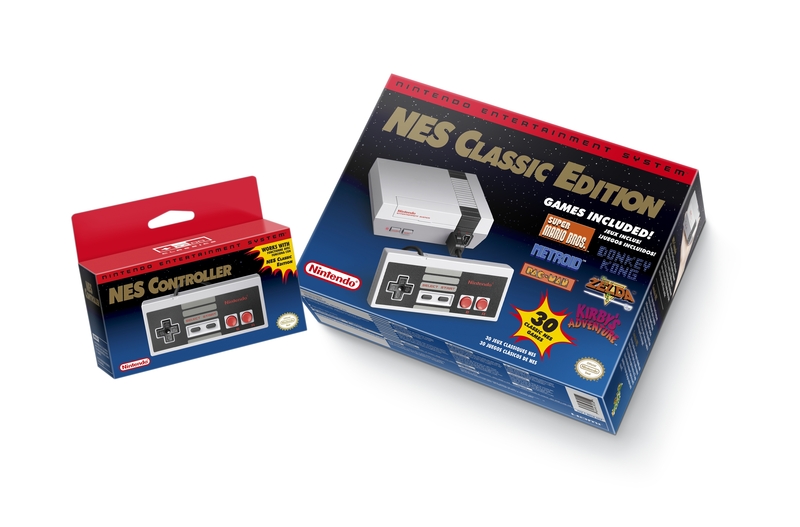 The NES Classic Edition, is a mini compact replica of the console that launched by Nintendo Entertainment System in North America in 1985. It will come pre-loaded with 30 games and one controller. NES Classic Edition will be able to connect to modern displays with an included HDMI cable. Each game will have “multiple suspend points,” allowing players to take a break and return to the point where they left off without entering passwords.